On 10-Aug-2018, Ms.Varshni Sharma will be presenting a paper titled "Antibiotic-resistant bacteria show widespread collateral sensitivity to antimicrobial peptides" which may be downloaded here. This will be followed by work presentation by Mr.Gaurav Kumar. The list may be downloaded here. The provisionally selected candidates may report to office of Department of Microbiology in South Campus latest by 4 PM on 03-Aug-2018. As per directions received from competent authority of University of Delhi, the process for admission to PhD Microbiology course has been put on hold till further notice. 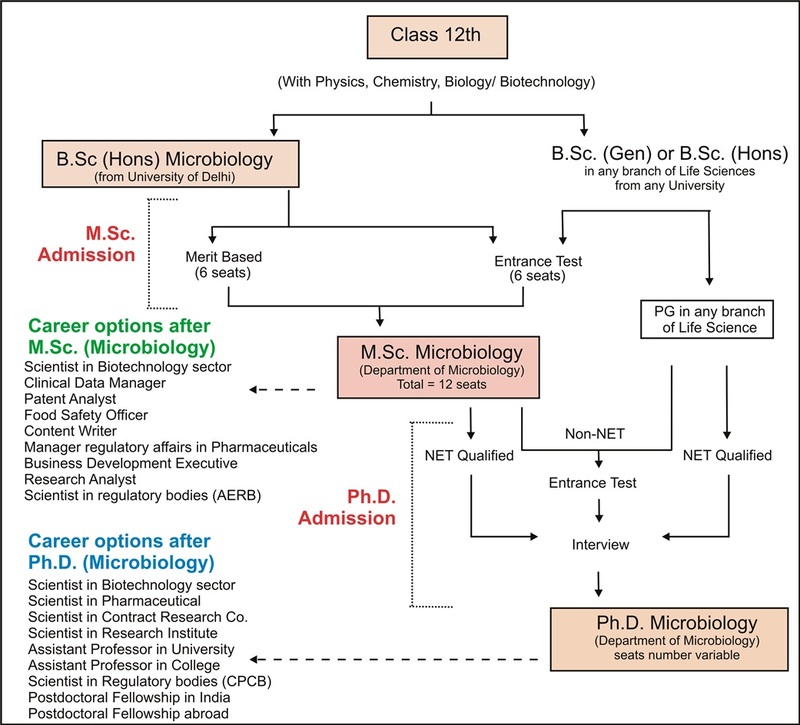 The Department offers programs in M.Sc. Microbiology and Ph.D. Microbiology. For details about these programs, click on the links provided below.